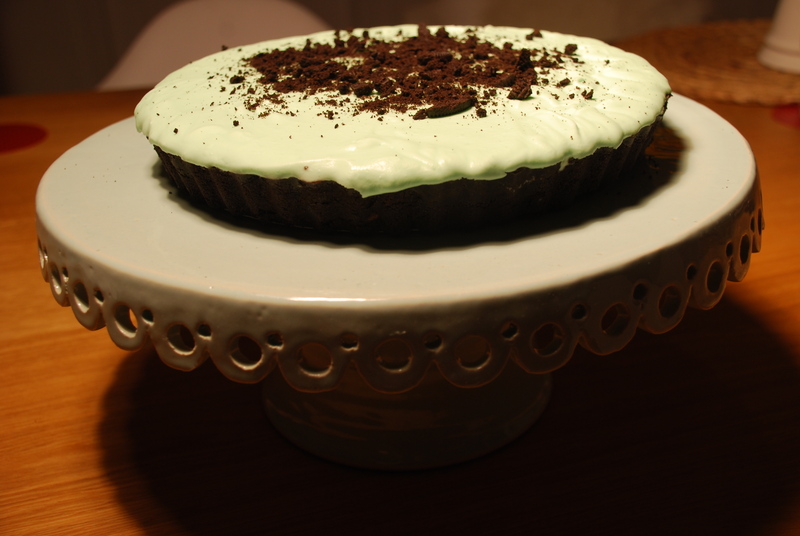 I wanted to make this pie for the longest time, the gorgeous pastel green creme de menthe cloud-like marshmallow filling, along with the oreos was enough to appeal to the adult and the kid in me alike! So a couple of weeks ago I finally had the perfect excuse to make it has it was Halloween and my step kids were visiting. 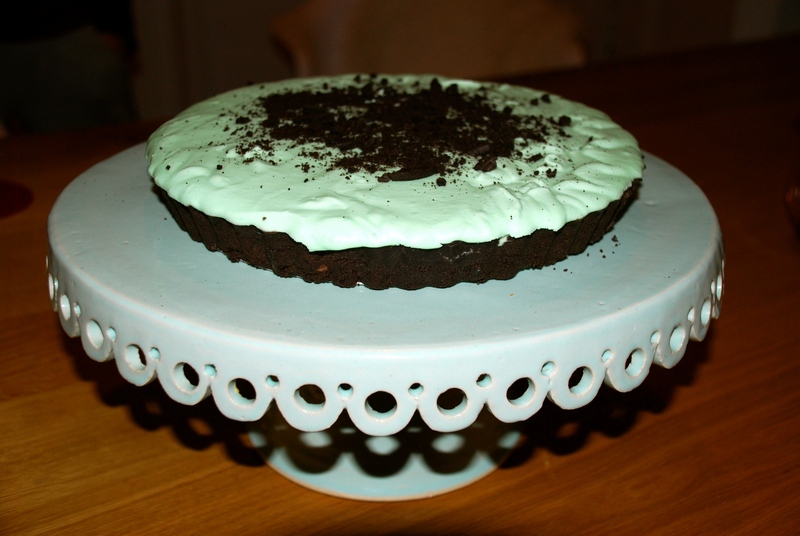 It is beautiful, light and minty and tastes superb with an oreo base. 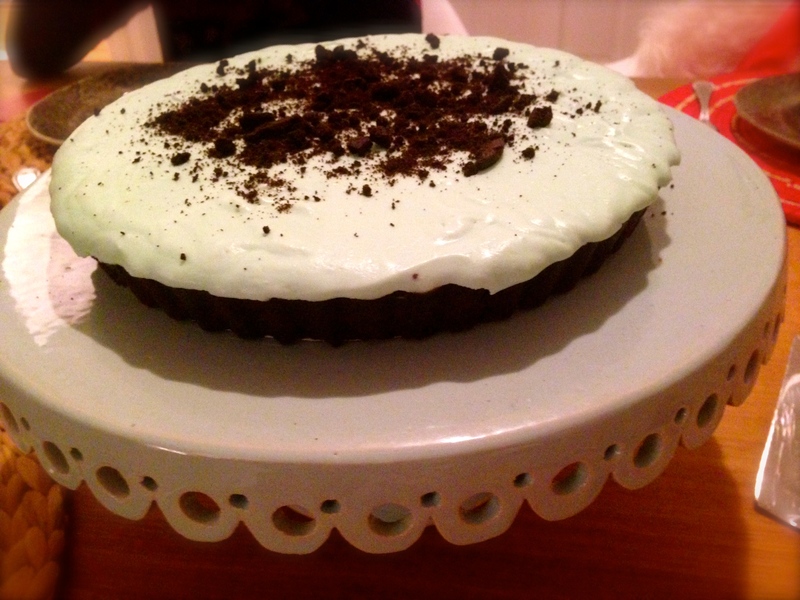 The recipe is from the book Kitchen by Nigella Lawson. 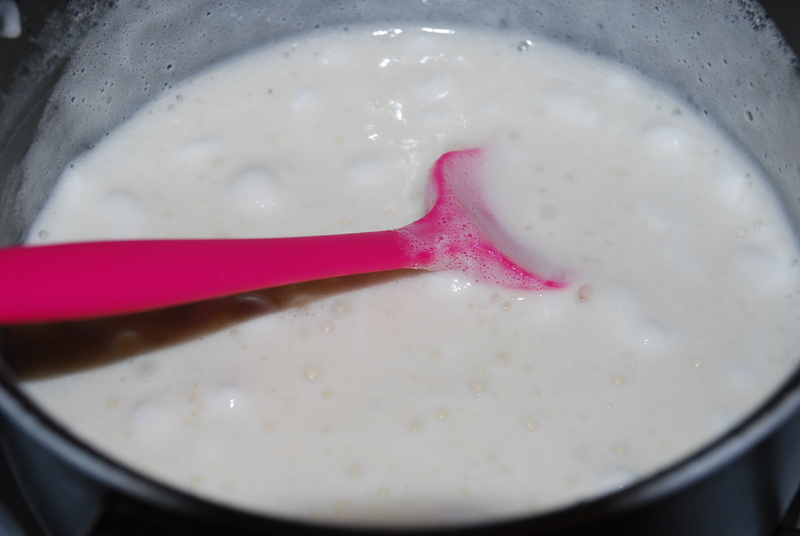 It was not all smooth sailing however, as there is something weird about this recipe which makes the whole cream and marshmallow mixture split if you beat it even slightly two long. My mixture split twice, before I finally got it right. 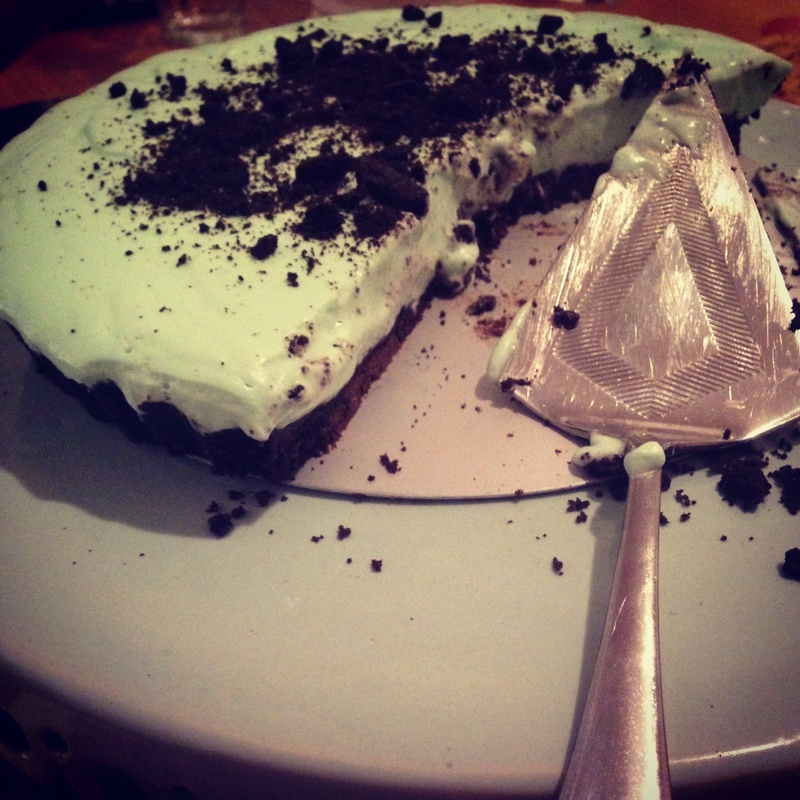 I was petrified that it would happen again the last time I made it and found the recipe a bit frustrating I have to say. So after a bit of googling and reading about some other failed attempts by people on the internet on the same recipe, I decided to give it a last go and not whisk the final mix more than necessary. 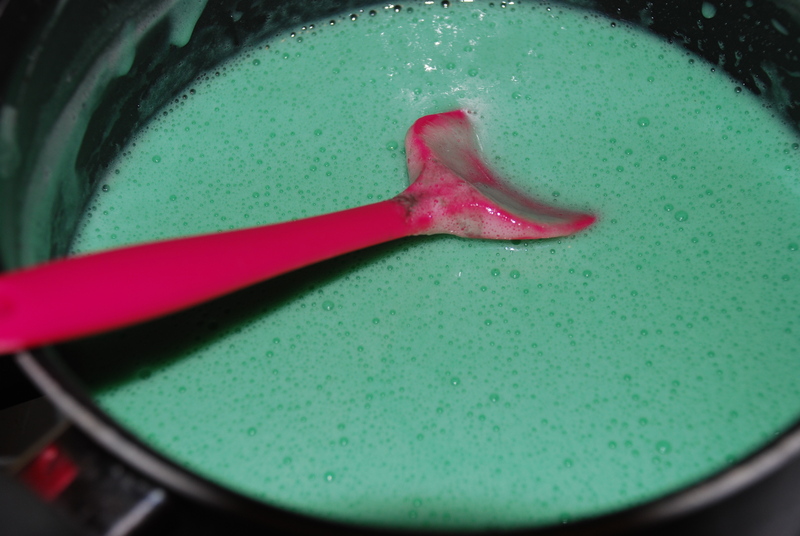 If you do attempt it please don’t whisk the marshmallow mixture into the cream for too long, be sure to turn off the heat under the marshmallows as soon as they start frothing in the milk and be really gentle and quick about it and make sure the mixture has cooled completely before you fold it into the whipped cream. I used chocolate Oreos with chocolate cream and dark chocolate chips instead of chopped chocolate in the base. The chocolate chips really added a lot of nice crunch to the base.